A new year often heralds a renewed desire on the behalf of home owners to invest in their property. Top of many people’s list in 2016 is likely to be a new kitchen. So, what better time to take stock and review some of the kitchen design trends heading our way this year? It promises to be a very exciting year for all things kitchen-related. Not all of us are blessed with oodles of kitchen space, so it’s encouraging to hear that clever use of space and innovative storage will be a focus for many kitchen designers in 2016. Utilising the available space in any room is something many people struggle with, and it can be even trickier in the kitchen given the number of white goods requiring installation. In 2016, expect to see (or, rather not see) ‘hidden’ cupboards, multi-use appliances and drawers which open with just a touch. The kitchen is often the hub of the house and it therefore stands to reason that many people will opt for spacious, open plan kitchens in 2016. By installing central working areas, space will be better utilised and the ability to entertain guests while cooking will make many a dinner party aficionado’s day. Kitchens have long retained the ability to remain traditional whilst still being innovative and forward-thinking. While in previous years that may have extended as far as placing an Aga oven next to a modern dishwasher, 2016 is likely to see contemporary country kitchens become a more popular design choice with richer woods like walnut and mahogany put to good use. The high tech world we now live in demands a modern cooking space, and nothing quite screams ‘Tron’ louder than high gloss, futuristic plastic work surfaces. Offering a striking contrast to the natural palettes of walls and splash back areas, the glossy kitchen surfaces of the future will likely be a regular fixture this year, making great use of our favourite minerals: granite and quartz. The ‘internet of things’ is gradually becoming a reality with home automation and smart devices becoming a permanent fixture in every room. As far as the kitchen goes in 2016, expect to see more smart devices such as WiFi kettles, instant boiling water-equipped taps and mood-setting automated lighting. If you’re a gadget fiend, the kitchen could soon become your new favourite room. If your kitchen feels disconnected from the rest of your home, there’s some good news. 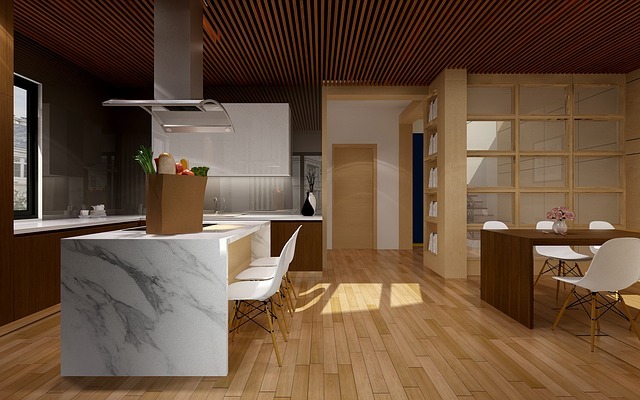 Integrated kitchen-living spaces are set to become very popular this year. By combining a cooking area with practical dining and comfortable lounge space, you’ll never have to leave the kitchen.